Corduroy shorts, felt hats and shapeless shirts!!!! A new scout troop for Newburgh, BBS arrives! I love scouts, the backwards cooking, the tree climbing and the knowledge of knots! Anyway, it’s great fun learning first aid and how to make a cup of tea to Skips liking; (two sugars and a splash of milk). The skills we learn are unique, how to shorten rope without using a knife and that teenage boys have no time management skills; arriving late to meetings! Our scout troop harks back to the original ideals of Baden Powell using knifes and Greenfield camping; long before technology impacted on every aspect of our lives. We all have a laugh and understand each other, our friendships have been tested due to the challenges set: making rope ladders and then lashing them to trees and attempting to climb them, with little success!! Shall we just say, don’t trust a group of boys with frayed rope and a few twigs!! Fund raising is the next challenge, so dig deep and fold it up, please send it to us!! As a scout troop on Remembrance Day we join our fellow global compatriots of Scouts in solemn, silent reflection to remember the sacrifices of service men and women. 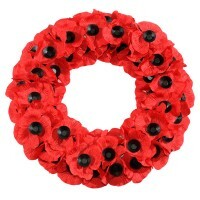 We do not only think of the soldiers who lost their lives in World Wars one and two but wars which have followed. They found strength where there was darkness, they found hope in gloom and discovered courage to carry on even when the lights were out. The nation was held in suspense and fear but they turned to God for company, guidance and courage. Not only blood stains the land but their success in securing peace and security tarnished the trodden soil. We pause, we reflect, and with grateful thanks, we will remember them.